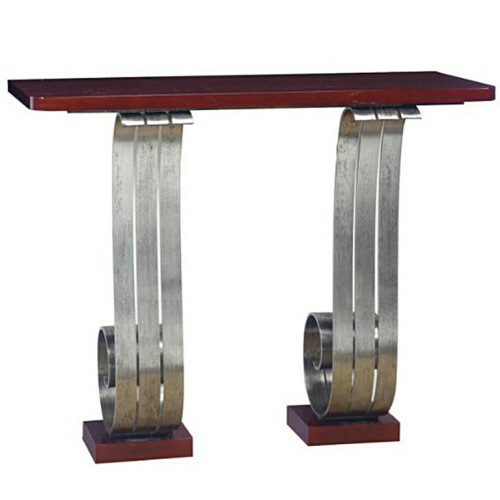 French Art Deco style console standing on two iron scrolled legs in the manner of Raymond Subes, with lacquered wood top and feet. 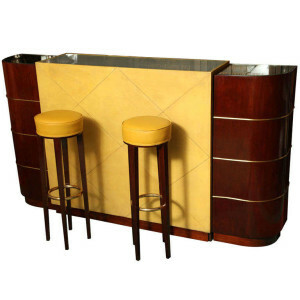 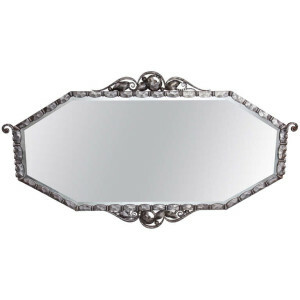 Measures: Width 43″, depth 15 1/3″, height 34 1/2″. 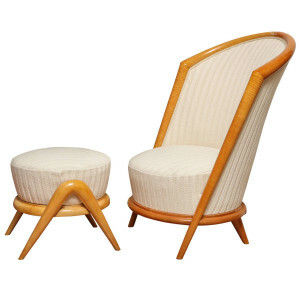 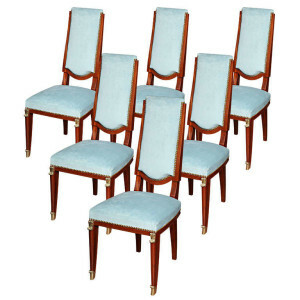 French chauffeuse with ottoman, 1950’s, sycamore frame, the circular seat resting on sycamore boomerang legs,with cream ribbed fabric upholstery. 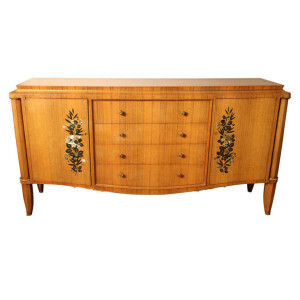 Rare rosewood and ebony sideboard/ “meuble d”appui” decorated with a floral intarsia of green snail and mother-of-pearl, legs with gilded brass sabots. 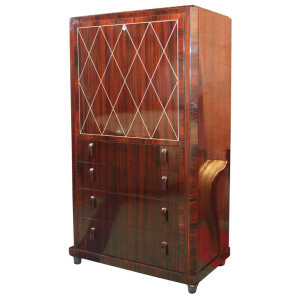 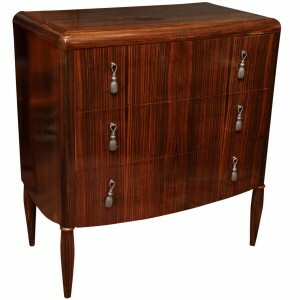 An exceptional quality Art Deco Secretaire in the manner of J.E. 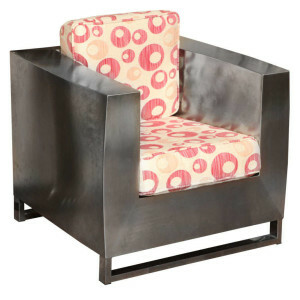 Ruhlmann in Ebene de Macassar with galuchat (shagreen) interior, recently repolished, c. 1930.